After many years, the Ind­ian hockey teams have a new jersey sponsor. And, interestingly, the new sponsor is not a corporate house, but a state government—Orissa. It’s a ‘first’ in the annals of Indian hockey, as no state government has ever sponsored the national hockey team. 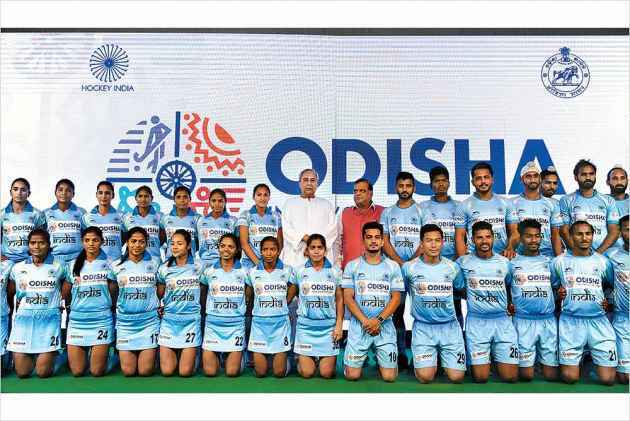 Orissa sports ministry officials, at the announcement made by Orissa Chief Minister Naveen Patnaik in New Delhi this week, even insisted that no state has ever sponsored the national team of any sport in the country. The five-year sponsorship deal encompasses all the Indian hockey teams—men, women, junior boys and junior girls. Orissa replaces the long-standing Sahara India on the jerseys of Indian stick wielders. It now reads “Odisha, India’s best kept secret”. 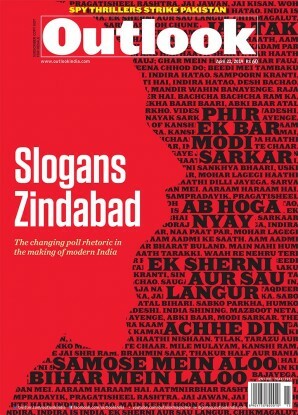 A lot of thought has gone into the accompanying logo—at the centre is the famous Konark Wheel, a symbol of progress and empowerment. The four other segments in the logo show a rising sun, the endangered Olive Ridley turtles, the Odissi dance form and a player dribbling a ball with a hockey stick. During this period India would compete in various elite tournaments; the top being the 16-nation men’s World Cup scheduled to take place from November 28-December 16 in Bhubaneswar. Orissa is also the title sponsor of the 2018 World Cup. “We are delighted at this association with Indian hockey. In Orissa it is more than a sport; it’s a way of life, especially in our tribal regions, where children learn to walk with hockey sticks. No wonder, Orissa has produced India’s finest hockey talent,” says Patnaik. The CM was referring to greats like Dilip Tirkey, Ignace Tirkey and Lazarus Barla, who have represented India in the past, and the current crop that includes Birendra Lakra, Amit Rohidas, Dipsan Tirkey and Namita Toppo. Orissa’s craze for hockey is amazing. Rural tournaments draw thousands. In many, goats are offered as prizes to winning teams. The Odisha Mining Corporation Ltd., one of the most profitable units of the state, has signed the deal with Hockey India. The sponsorship amount was not announced officially, but is learnt to be Rs 20 crore per annum—Rs 100 crore in five years. “Sahara’s agreement for 2017-2021 was for Rs 20 crore per annum, with about 8 to 9 per cent annual increase. Our deal is the same—Rs 20 crore per annum,” a high-ranking Orissa government official, involved with the signing of the deal, told Outlook. The present-day concept of sponsorship is, of course, quite different from the past. In the olden days, princely states like Patiala and Sir Vijay Ananda Gajapathi Raju, the Maharajkumar of Viz­ianagram, better known as ‘Vizzy’—also India captain in 1936—used to spo­­nsor Indian cricket teams on foreign tours, as the BCCI depended completely on royalty for survival. Hockey was even worse off. A crippled hockey federation went across the country, bowl in hand, to raise funds to send the team to the Oly­mpic Games. For the 1936 Berlin Olympics, about Rs 52,000 was generated through public donations. In the end, it was worth the effort: India, the best team in the world, won their third successive gold medal, with wizard Dhyan Chand’s stick work mesmerising one and all. The latest hockey sponsorship can be traced to Orissa’s successful hosting of the Asian Athletics Championships in July 2017 in Bhubaneswar, after the original host, Jharkhand, pulled out at the last minute. Naveen Patnaik took personal initiative and ensured that a brand new synthetic track and floodlights were installed at the Kalinga Stadium. Despite rain, the competition was glitch-free. Within the same Kalinga Stadium is the compact hockey arena where the World Cup will be staged later this year. The Orissa government is also the title sponsor of Kalinga Lancers, a hockey franchise that was the 2017 champion in the Hockey India League. Former India captain Dilip Tirkey reiterates the love that the people of Orissa have for hockey. “The craze for hockey dates back 100 years [or so]. I recently visited a village and I saw a 58-year old man playing hockey. Hockey is in Orissa people’s blood; it’s in the air and soil as well. Many rural tournaments are played every alternate month. No one wants to lose a match, and that’s why, at times, teams register multiple times in rural tournaments,” says Tirkey, now a member of the Rajya Sabha, nominated by the Biju Janata Dal. In several rural tournaments, winners receive goats as the prize. Many tournaments are played on grassless fields. This craze was on display in 2016-17, when Dilip Tirkey organised a tournament: a world-rec­ord 1,458 teams, comprising well over 20,000 players, rushed in to compete. “In Orissa, you easily get 30,000 to 40,000-strong crowds during matches. Watching them, I often feel like settling down in Orissa,” quips Dhanraj Pillay, India’s mercuria­lly brilliant former forward. The Orissa government’s twin sponsorship of the Indian teams and the 2018 World Cup seeks to channel this unmatched passion to a new level. Vishal Kumar Dev, secretary (sports), Orissa government, underscores the state’s sentimental association with hockey. “This is not just a sponsorship deal; it’s part of a holistic approach to raise the standard of hockey. Basically, we are saying ‘restore hockey’s glory days’,” Dev tells Outlook. R. Vineel Kri­­shna, as Managing Director, Odisha Mining Corporation Ltd., will also be closely associated with the World Cup. “Our sponsorship deal starts right away and the Indian team would be playing many tournaments during this five-year period, including the World Cups, the Champions Trophy, the Commonwealth Games and the Asian Games etc.,” he says. The Commonwealth Games will be held from April 4-15 in the Gold Coast, Australia, while the Asian Games will be held from August 18-September 2 in Indonesia. But the first major challenge for the senior men’s team under the new sponsor will be the Sultan Azlan Shah Cup, starting March 3 in Ipoh, Malaysia. For the senior women’s team, it will be a tour of Korea, from March 3-12. The men’s and women’s probables are now in preparatory camps. Over the years, not many companies have sponsored Indian hockey. Only Sahara and Castrol have been the major sponsors, besides a few other associate sponsors. Sahara, which first sponsored the Indian hockey team’s jersey in 1995, had in January last year announced an extension of its sponsorship deal till 2021, though some people maintain that its deal ‘ended’ last month, probably due to a clause that said “subject to renewal”. It is also learned that there was another clause that gave the “first right to refu­sal” to Sahara. The bottom line, however, is that, effectively, three years were still left in the beleaguered Lucknow-based conglomerate’s deal, when this sudden change in sponsorship takes place. Among the prominent reasons being cited for the change of the jersey sponsor is the ongoing financial trouble within the Sahara group. Some say the termination of Sahara’s deal could possibly be due to its inability to pay the sponsor­ship amount. “The company is going through bad times; it is involved in a Supreme Court case with the government regulator, Securities and Exchange Board of India, and there are some other issues,” says a hockey observer. Sahara has also been a long-standing sponsor of the national cricket teams as well. That association ended in 2013 as STAR India Ltd. won the bid. Interestingly, the company had quoted a bigger amount than STAR, but its bid was rejected on the ground that it was entangled in a legal dispute with the BCCI. Abhijit Sarkar, corporate communications head with Sahara India, who handles the sponsorships, wasn’t surprised at Naveen Patnaik’s ann­ouncement. He said his company would continue its association with Indian hockey. “We are in talks and we could be the co-sponsor at the World Cup,” Sarkar tells Outlook. But Patnaik didn’t seem to be in a mood to dilute his state’s link with the sport. “We would like this association to help widen the net for hockey in India and to ensure that all Indians get behind the national sport. We hope that Orissa’s association with national hockey coincides with a golden period for the sport,” he says. Here’s hoping Indian hockey teams sail towards glories from the golden sands of Puri and Konark.